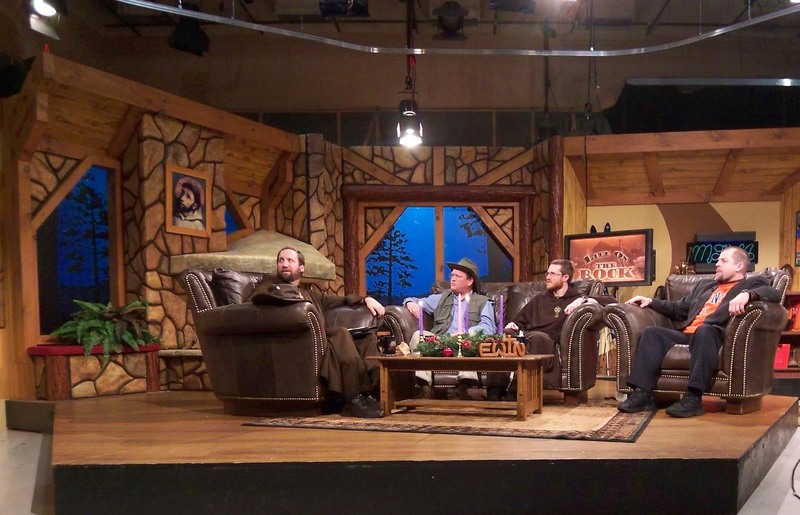 If you get a chance, tune in to EWTN’s Life on the Rock tonight (Thursday) at 8 PM Eastern time. I (Steve Ray) will be on live with Fr. Mark. You can even listen on-line. It airs live on Thursday at 8 PM Eastern and has encore shows Friday 1 AM, Friday 1 PM, Sunday 11 PM. You can listen live at www.EWTN.com. To view a Virtual Video Pilgrimage of my pilgrimage with Fr. Mark and the Ignatius Press group of 120 pilgrims, visit my site www.VirtualPilgrimages.com. To see pictures, click here. For other pictures, click here. Enjoy! 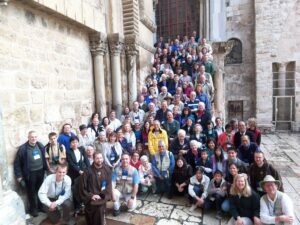 To join us on a future pilgrimage, visit www.JerusalemJones.com. 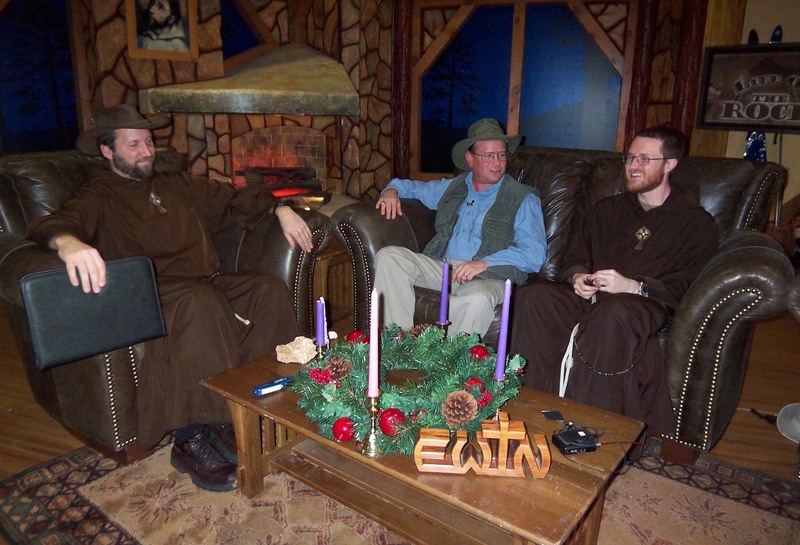 Studio pictures taken by “Postulant Peter” who is becoming a Franciscan brother at EWTN.